For the past few years, our family has vacationed on Emerald Isle. With five teens in the group, it is hard to keep them interested in family vacations. We came up with the idea of a “Theme Night”. It is a fun way to get everyone excited for our family vacation. We have had Christmas in July which included Santa hats on the beach and a homemade beach gift exchange, a Luau with limbo and Hawaiian shirts. 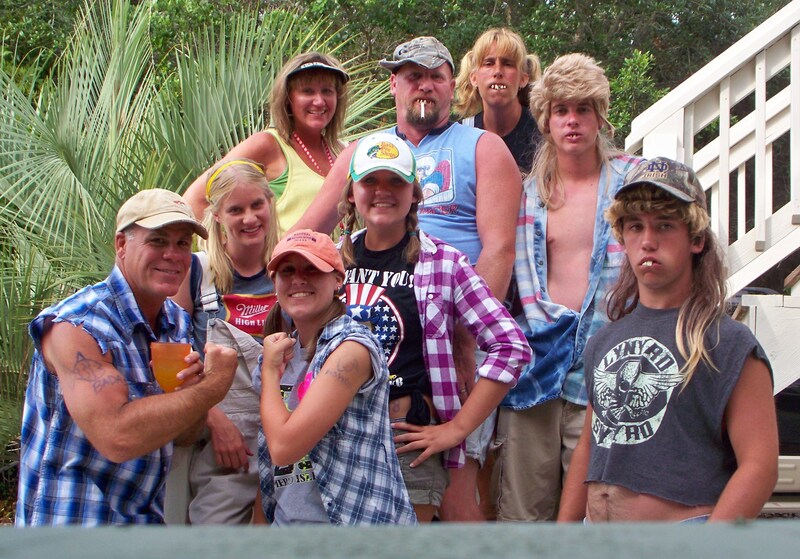 This year we decided on a Redneck/Hillbilly beach party with a prize going to the best dressed redneck. A watermelon seed spittin contest and lots of corn hole. Everyone is looking forward to the many vacations to come and are wondering what next year’s “Theme Night” will be.